Founded in 2018, MyWanderlust.in is a travel startup born to make travel research easier and promote offbeat places in India. It helps you discover new places, inspire others to travel with your travel stories, get your travel questions answered, and help you connect with other travelers. Besides, you can book any of the 100+ handpicked Experiences across the Himalayas, organized by reputed traveler hosts and instead of going on just another trip, experience everything the way it’s meant to be! 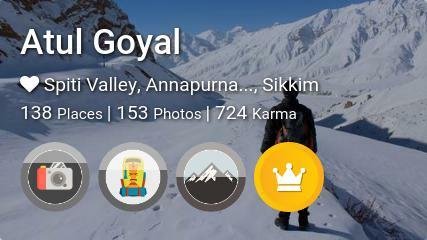 Atul Goyal is a backpacker, and he loves being in the mountains. 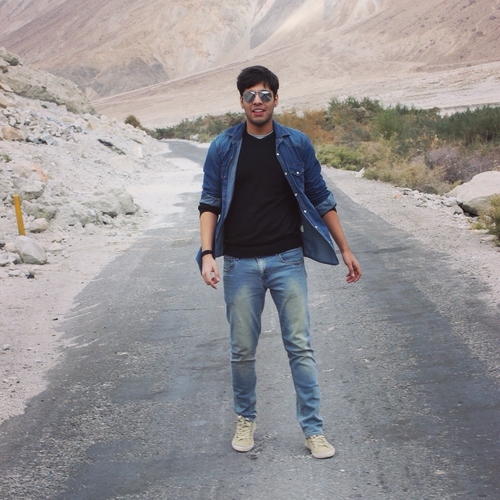 Having worked at the digital payments startup MobiKwik, as Head of Mobile for 4 years, he took a sabbatical and spent 100 days in 2016, exploring the mountains of Nepal, Ladakh, Spiti, and Sikkim which eventually lead him to quit the job and becoming a traveler + entrepreneur. He was born and brought up in Delhi but finds real peace in the mountains to the extent that it's now much more likely that you'll bump into him somewhere in the mountains, than home. He loves chatting about life, universe, and everything! Prakhar Gupta, is a casual traveler who has to travel to Goa once every year for some reason(which cannot be disclosed in public domain)! Apart from lazing around on beaches, he is fond of trekking and camping. He likes to travel slow, and his favourite aspect about traveling is meeting new people. So if you spot him anywhere, feel free to say Hi! After graduation from IIIT-Delhi, he worked at MobiKwik for about 2 years. He is a DotA addict and still sneaks in an hour or two of gaming everyday. Apart from DotA he likes to kill his time lurking on Reddit. 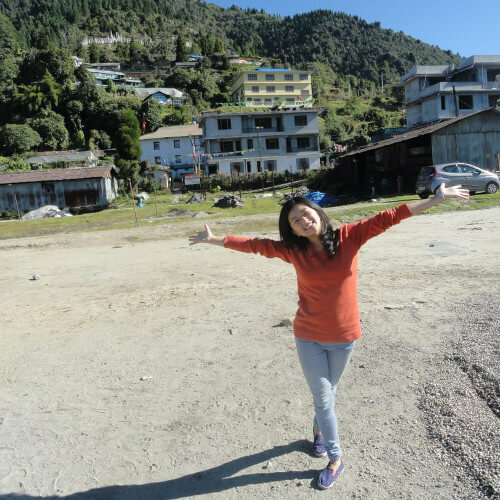 Junu P Lepcha is our writer intern from Sikkim. A novaturient at heart, she loves blue skies, the green forests, tall mountains and the mysterious sea. Her bucket list includes sleeping under the magical Aurora Borealis... someday. Besides dreaming big dreams, she's pursuing her masters and nanny-ING her little sister. 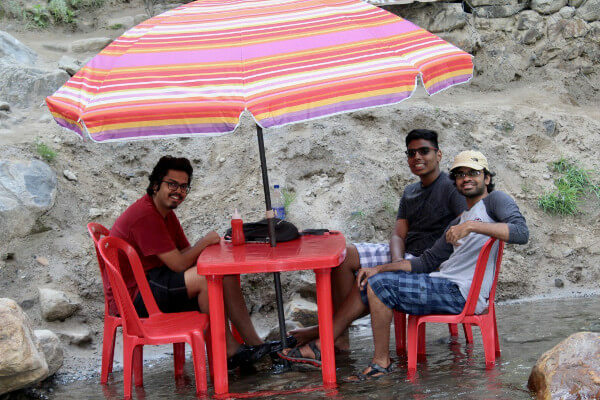 Meet Arora is an undergraduate student at IIIT, Delhi. He was never interested in programming *until* he made a simple calculator as an assignment in school. And there was no stopping him thereafter. Building things is something that excites him. Apart from programming, he enjoys watching movies and TV shows. He likes trying out new cuisines and loves travelling to quiet and serene places to experience the peace and beauty nature has to offer. 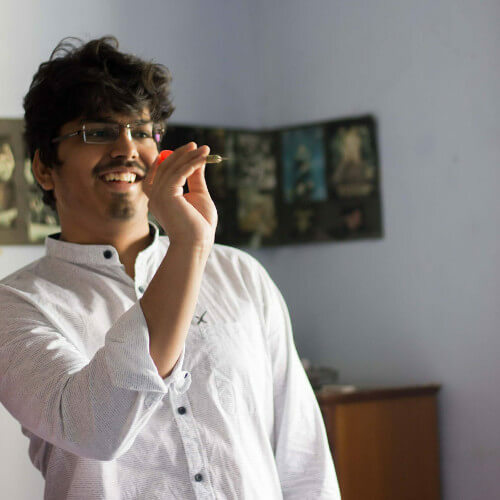 Naman Kedia is an undergrad student at IIIT-Delhi. He loves to travel to new places and explore them. He's tried many different adventure sports and wishes to go skydiving and scuba-diving some day as well. He plays football regularly at college and also follows the game, Liverpool being his favourite club. 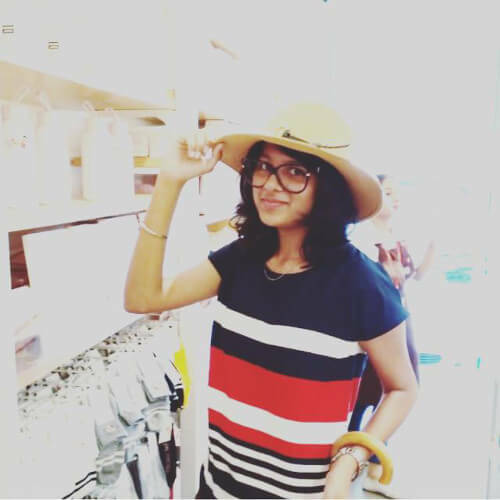 Nayana Nair is an undergrad student studying Mathematics at LSR. She loves reading, writing and exploring different cultures and cuisine. Being a Keralite at heart, her favourite food item is Dosa and Sambhar. Apart from reading absolutely ridiculous paradoxes, you can also find her pondering over the oddities of the universe(while listening to Space Oddity) just to keep her nebulochaotic mind at work. 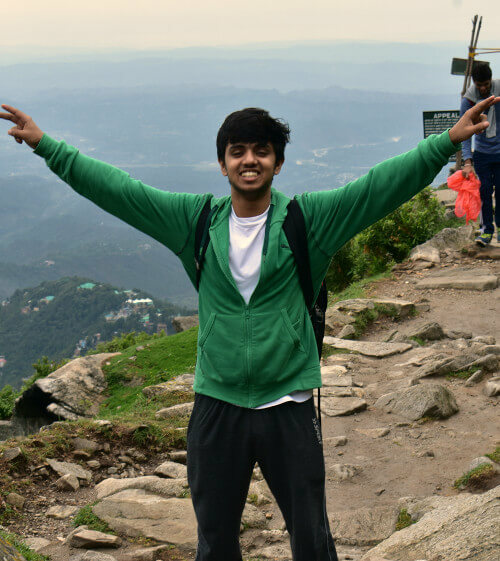 Shreyans Mongia is a student of IIIT Delhi. Travelling is his new found passion. After exploring India, he hopes to travel to at least 3 other continents. He's a budding photographer and a campfire guitarist. He also loves to try out different cuisines (read epicure). 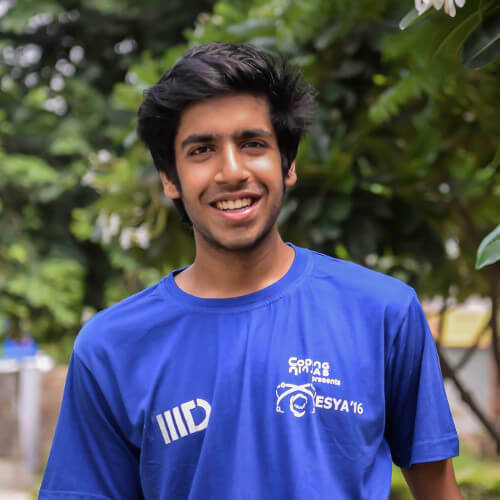 Suryatej Reddy is an undergraduate student at IIITD. He is a crazy Apple fanboy who dreams of launching an iPhone at the Steve Jobs Theatre. 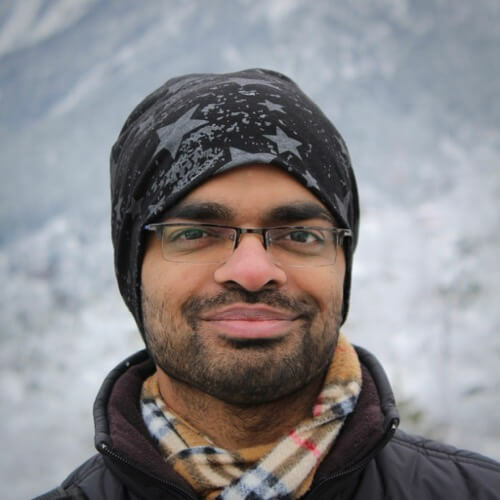 He has a knack for new technologies and is extremely fascinated by the applications of deep learning algorithms. When he is not completing deadlines, Reddy spends his time watching Football or reading crazy GOT theories. 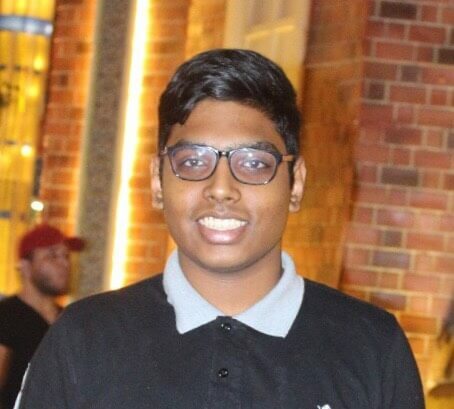 Yash Aggarwal, 18, an engineer in making, aspires to become a Designer. He is learning the art of photography and cinematography, and someday wants to drive all through the seven continents (yes, Antarctica too!). 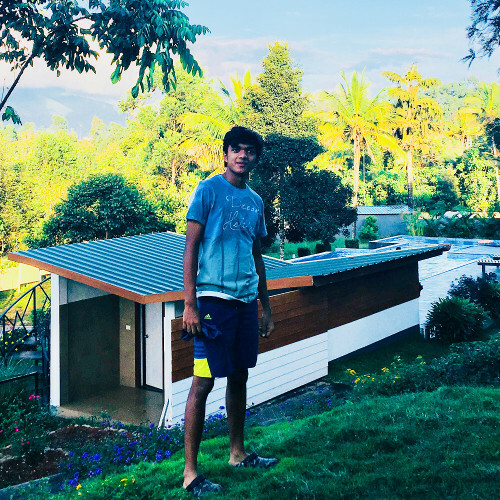 So far he has experienced tea gardens of Kerala and Darjeeling; mesmerizing Kashmir valley; Forts of Rajasthan, Delhi, and Agra; and some of the cliched hill stations too. Are you passionate about travel and want to make a difference? Want to join our small team, or collaborate with us? Please get in touch via any of our social media accounts linked at the bottom, or drop an email to lovetohear [at] mywanderlust [dot] in.